Rockstar Games has begun rolling out the Stimulus Package for players in Grand Theft Auto 5's Online mode. The move is essentially a consolation effort to make up for GTA 5 Online's less-than-perfect launch. 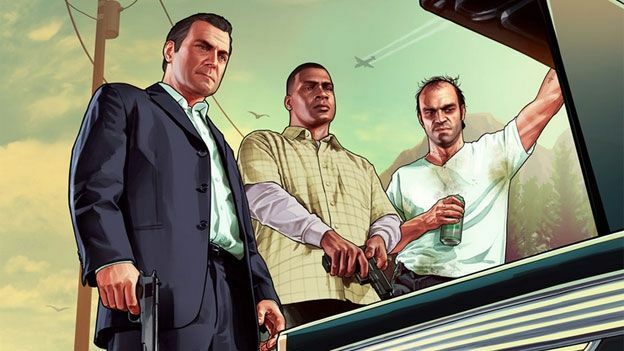 Players can expect $500,000 of in-game cash to be dumped into their accounts by Rockstar, as a way of saying sorry for issues that have plagued GTA 5 Online from the start. Issues include in-game progress - including accumulated cash, weapons, vehicles and property - disappearing altogether. In an announcement on Rockstar's website, the developer said that the Stimulus Package will be rolled out over the next couple of days. "Attention all Grand Theft Auto Online players, we have begun the Stimulus Package direct deposit into each of your in-game bank accounts," reads the announcement. "This GTA$500,000 deposit applies to all GTA Online players in the month of October 2013." "We expect that it will take up to 2 full days for the Stimulus Package to be fully delivered to the entire player base from October 2013, so please be patient if you do not see it appearing in your in-game bank account just yet. We will update this post on Friday when we expect all the GTA$ Stimulus Package deposits to have been completed." Rockstar Games also thanked players for their patience. In spite of its Online Mode's issues, Grand Theft Auto 5 is easily one of the frontrunners for game of the year. Check out our GTA 5 review here.